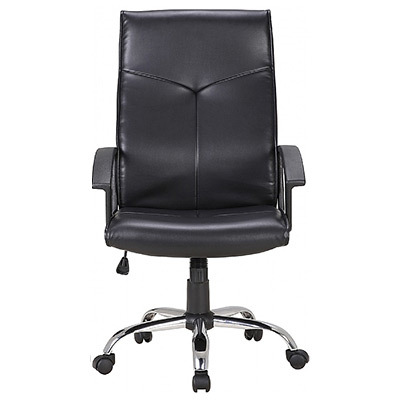 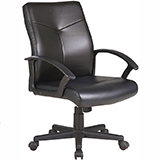 This luxurious Leather Manager Chair is a perfect choice to add some comfort to your business or home office. 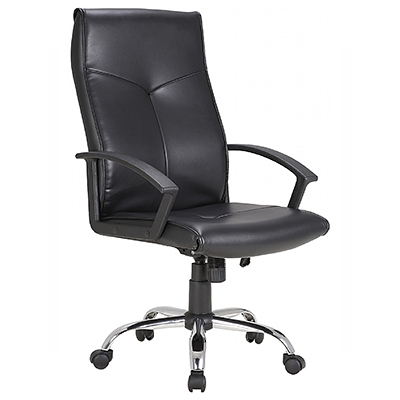 A contemporary design with a high cushioned back, integrated head rest and angled arm rests for comfort and support whilst you work. 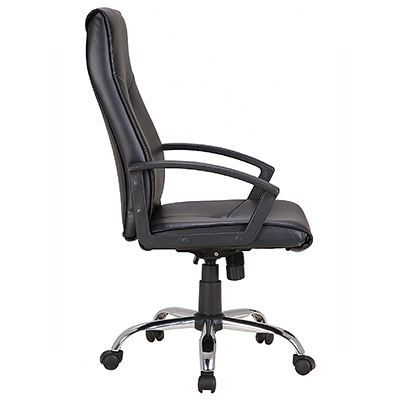 The adjustable height and tilt mechanism with a free flow setting makes this chair flexible and adaptable to individuals needs. 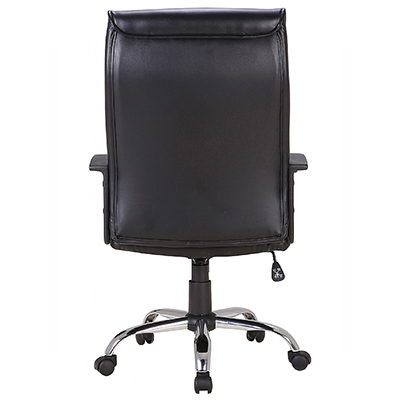 The bonded Leather gives a stylish feel to this chair and makes it easy to clean and maintain. 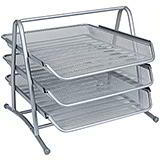 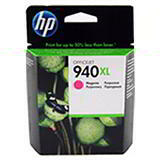 Also available in a similar design check out the medium back version. 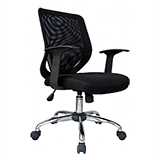 A modern day breathable mesh back office chair available in different colours.